Nshama, a leading UAE-based developer of stylish master-planned communities, has signed a contract with Majid Al Futtaim Retail to open a new Carrefour Hypermarket in Town Square Dubai. Spanning 8,000 sq ft, the Carrefour Hypermarket will be centrally located in Town Square Dubai and is scheduled to open in the third quarter, said the statement from Nshama. A part of the vast retail precinct currently being developed in Town Square Dubai, it will feature several of Carrefour’s signature concepts including Food 2 Go, Healthy Kitchen, Baby Universe, Green Home, Pet Lane, and more to create a shopping experience that is not only unique but enjoyable, it stated. The hypermarket will also provide a variety of fresh fruits, meat, fish and vegetables in addition to high-quality non-food products at unbeatable value, it added. The agreement was signed by Fred Durie, the CEO of Nshama and Philippe Peguilhan, the country manager of Carrefour UAE at Majid Al Futtaim Retail. The construction of the new hypermarket will begin shortly, and customers can expect the same level of quality and service from this location that they have grown accustomed to from Carrefour’s stores across the UAE, stated the duo. On the new venture, Durie said: "Town Square Dubai is already a thriving destination and we are focused on enhancing the lifestyle appeal of the community by offering amenities desired by residents. Carrefour is a popular brand of UAE residents and the new outlet will bring convenience shopping right next door to Town Square Dubai." 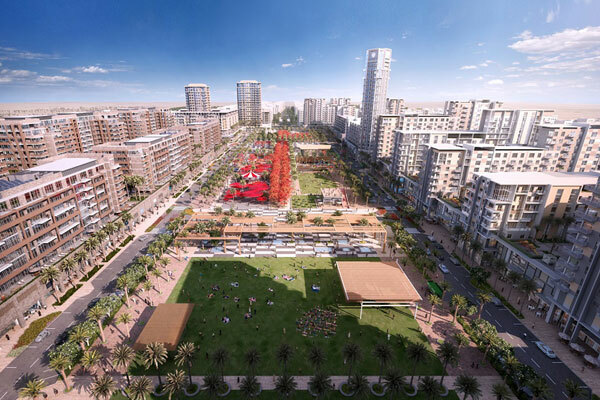 With immaculately laid streets, aesthetic landscapes, leisure attractions including a skating park and the Town Square Park that is being completed, the 31-million-sq-ft Town Square Dubai has set the benchmark in owned-home living and trusted by customers for the timely delivery and build quality, he stated. Peguilhan said: "Town Square Dubai is well poised to become a vibrant community, and our belief is that no locality can be complete without a retail space that offers quality, variety, and value." "We’re confident that our hypermarket will exceed these expectations, and we look forward to delivering on our brand promise of creating great moments for everyone everyday," he noted. Town Square Dubai is in easy proximity to popular malls and near Arabian Ranches and is also near the Al Maktoum International Airport which is less than 20 minutes away, as well as the site of Expo 2020 Dubai. It is also home to the upcoming 50,000-sq-m Town Square Park, a hotel, cineplex, and the retail precinct with several retail and F&B outlets in addition to a range of leisure attractions, said the developer.